The Fox Inheritance [Book Review] – my books. my life. 260 years after the car accident that landed Jenna in her coma and “killed” her two best friends, someone has found copies of Locke and Kara’s uploaded minds and has given them new bodies. Locke and Kara have spent centuries trapped in a void with only each others’ thoughts as company. Their world is gone. Everyone they ever loved is gone. Except Jenna. Kara is out for revenge – why didn’t Jenna rescue them? But Locke just wants his best friends back. When I first heard that The Adoration of Jenna Fox was getting a sequel, I was skeptical. The book stands on its own, and it seemed like it was an attempt to jump on the series bandwagon. 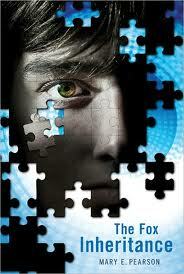 I loved Jenna Fox and I didn’t want a sequel to take that away from me. Turns out I was wrong. While The Adoration of Jenna Fox does stand on its own perfectly fine, The Fox Inheritance was a surprisingly enjoyable addition. Told from Locke’s perspective, the story shows us how the world has changed and how it has not. Like the first book, this one dives into some deep bioethical issues. When is a person still a person? When does a thinking, dreaming machine become a person? What is the price we pay for immortality? When does science go too far? The Fox Inheritance is a story of friendship. New friendships and very, very old ones. Locke constantly feels torn between Jenna and Kara, and all of it feels very real. The horror of being trapped in nothing for 260 years. The pain of waking up and realizing everything you once knew no longer exists. The inability to grasp what your identity really is. The friends you meet and lose along the way. All of these things make The Fox Inheritance a rich, heartbreaking tale, and a worthy follow-up to The Adoration of Jenna Fox. * Page number refers to the ARC and may differ in the published edition. I just won this book over at Jenners’ blog, and was so excited because I also just picked up the first book at a book sale. I have to admit that the title of the first book perplexes me, but I have read so many good things about it that I had to buy it. I am glad to see that this second book also impresses you! I have a copy of this book, and have just been waiting for the time to start it. I loved Jenna Fox, even though many people did not. I’m curious about this one. I’ve seen love, hate and everything in between. I downloaded the Ebook. I wasn’t aware that this book was coming out until you mentioned it to me. I’m excited to read it. Glad you enjoyed it. I know it was far better than I thought it would be, and I loved that it went in a different direction (wasn’t just a re-hash) than the first book. I was quite skeptical about it at first too. I loved this book. It was a fantastic follow up to a book that was phenomenal in it’s own right. I thought Pearson crafted such an interesting story that brought so much emotion to the surface. I absolutely adored Locke, what a tormented soul in so many ways.